Known principally for Barolo and Barbaresco, the wines of Piedmont are uncommonly diverse (and delicious). To take us on a “tour” of the area, we welcome Cameron Abbott of boutique importer The Piedmont Guy for a dinner presenting a selection of Piedmontese wines. 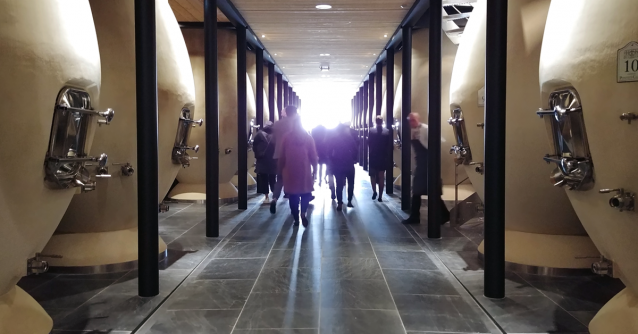 We’ll feature a wide assortment – from dry sparklers and whites to a series of Nebbiolo-based wines – including a side-by-side comparison of two single vineyard Barbarescos as well as a Barolo from the lauded 2013 vintage. And of course, Chef Andy will prepare a five-course meal to accompany the wines. Held on Wednesday, November 14, at 6:30pm, the dinner is a ticketed event at $100 per person, which includes tax and gratuity. 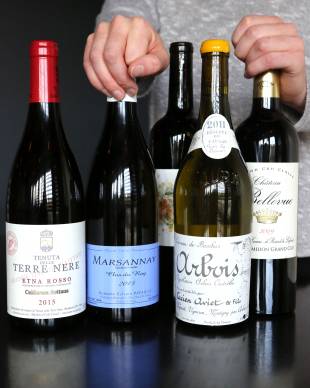 True to its name, The Piedmont Guy specializes in the many wines of Piedmont. 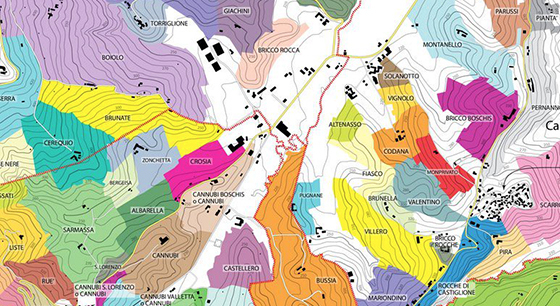 While Barolo and Barbaresco are justifiably revered, the diversity of terroir and grapes make it one of the most exciting areas for buying, studying, and of course, drinking wines. And The Piedmont Guy is among the top importers in the country for seeking out exemplary family owned properties throughout the entire area. Their wines have been a recurring feature on our list for a few years now, and we’re excited to be able to present some of them in this way. Tickets are only available online on a first-come, first-served basis. 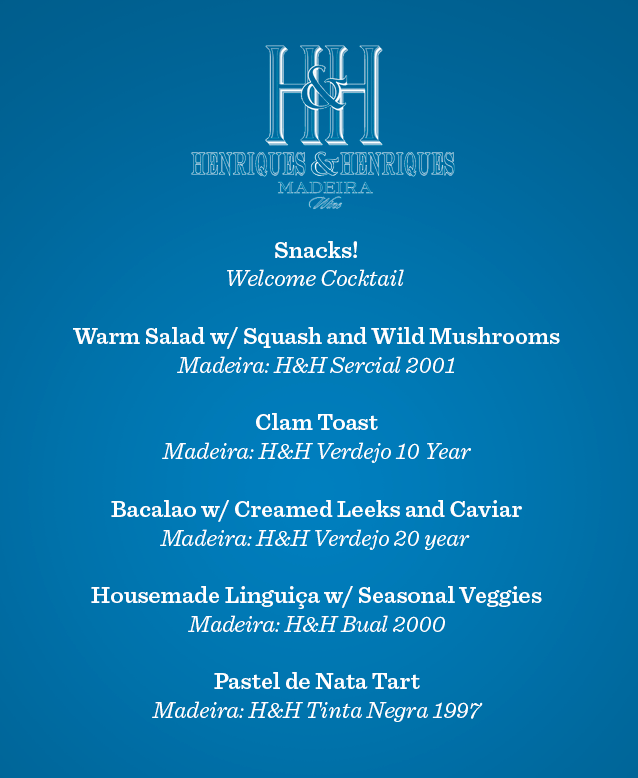 We’re delighted to host Haus Alpenz founder Eric Seed for a dinner featuring an assortment of exquisite Madeira wines from producer Henriques & Henriques. Inspired by fall ingredients and his recent travels to Portugal, Chef Andy will prepare a five-course meal to accompany them. Held on Wednesday October 24 at 6:30pm, the ticketed dinner will cost $100 per person, which includes tax and gratuity. We managed to pry a draft of the menu out of Andy, and it looks pretty exciting (see below). 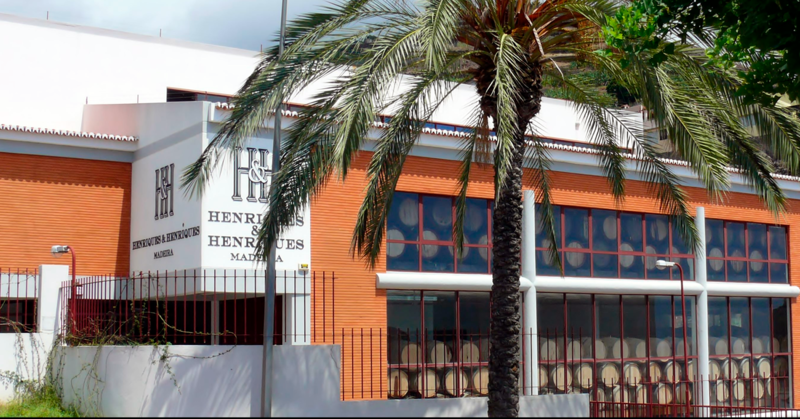 As an importer, Haus Alpenz is among the companies most easily associated with the resurrection of interest in previously cherished products like vermouth, amaro, and, of course, Madeira. While many today associate Madeira with cooking wine or the back of a grandparent’s liquor cabinet, it has been a cherished style of wine for most of its 500-year history – perhaps most famously used to toast the signing of the Declaration of Independence. If you’re new to Madeira, Wine Folly has a good introductory primer. But in short, it’s a long-lived, unique, delicious drink that happens to be perfect for a fall meal. For the dinner, we’ll feature a number of products from Henriques & Henriques – from dry wines to single vintage to dessert-oriented styles – and Eric will be on hand to walk us through these underappreciated treats. Tickets are non-refundable, offered on a first come-first served basis, and are only available online. Price includes tax and gratuity. While we are happy to accommodate allergies and dietary restrictions, we kindly request that you let us know upon booking so we can plan accordingly. We’re delighted to announce that Selden Standard pastry chef Lena Sareini was named a semi-finalist for the prestigious James Beard Rising Star award, given to those under 30 making waves in the culinary world. And recently, The Washington Post did a travel piece on dining in Detroit, and we’re featured alongside Dime Store and our dear friends at Supino. 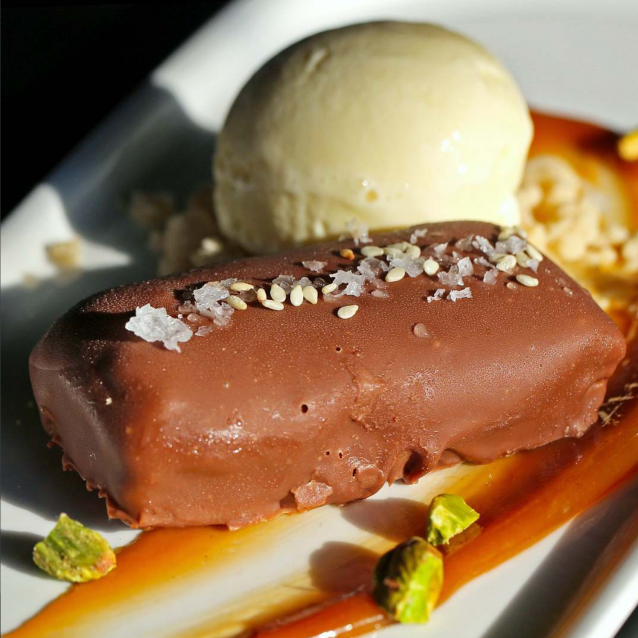 Naturally, they finished off their meal with Lena’s chocolate halawa (below).